The town of Eu is situated in the valley of the River Bresle towards the north-east of the Seine-Maritime department of Upper Normandy, east of Le Treport and close to the border with Picardy. 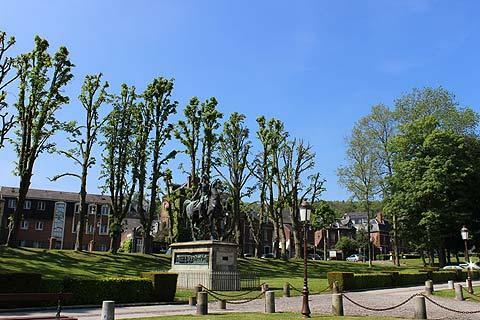 Although it is the centrally placed castle that attracts most visitors to Eu, spend some time exploring the rest of this Normandy town as well. There are various monuments and buildings of interest to discover, including the church, organ and crypt of the Collegiale Notre-Dame, a gothic style building dating in part from the 12th century. Although the other abbey buildings were destroyed during the revolution, the church itself is a substantial monument. 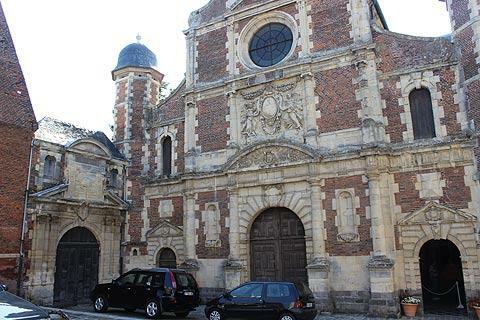 Another religious monument in Eu is the 17th century Chapelle du college des Jesuits. The chapel has an imposing baroque facade (much larger than the word chapel might suggest!) with an ornate bas-relief carving above the door and inside you can see the tombs of Catherine de Clèves and Henry I. You can also see a few small chapels and some grand houses and buildings such as the attractive Hotel-Dieu and the Hotel of the Bishops of Amiens. Eu is notable for being the place where William the Conqueror married Mathilde, grand-daughter of Robert II of France, despite objections from the pope. The town is best known for, and attracts visitors because of, the castle - the chateau d'Eu. Situated in the heart of the town of Eu, the castle dates from the 16th century and is an impressive monument constructed in red-brick primarily as a residence rather than a defensive castle (an earlier castle on the same location, destroyed in the 15th century, had a more military function). The castle also acted as summer residence for King Louis-Philippe during the 19th century (he was king from 1830-1848) and on two occasions he received Queen Victoria here. 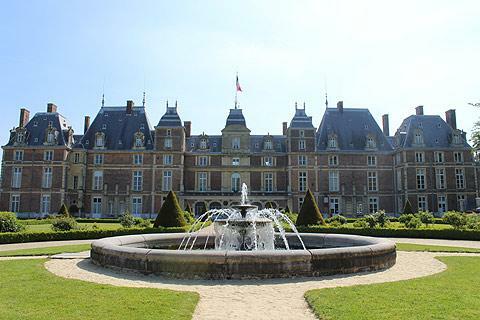 Despite the royal connections it is notably less excessive in style and furnishings than many of the 'grand' castles of France. 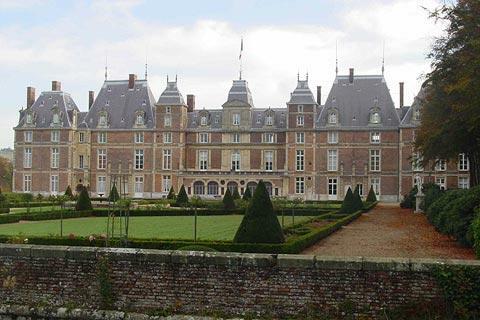 Surrounding the chateau are nice formal gardens with fountains and plenty of trimmed box. The land surrounding the castle formed part of its defences until 1665 when the comtesse d'Eu turned it into a garden. The roses, rhododendrons and statues were introduced by King Louis-Philippe. The gardens have been partially restored. There is also the 19th century 'ice-house' of the chateau which used to house ice imported from Norway! Apart from the opportunities to explore the Normandy coast, the principal region for leisure activities near Eu is the Forest d'Eu, an extensive forest offering varied leisure activities. In the forest you can also visit the excavations at the gallo-roman site of Bois l'Abbé, an important regional centre 2000 years ago where traces of temples, thermal baths and an amphitheatre have been uncovered. 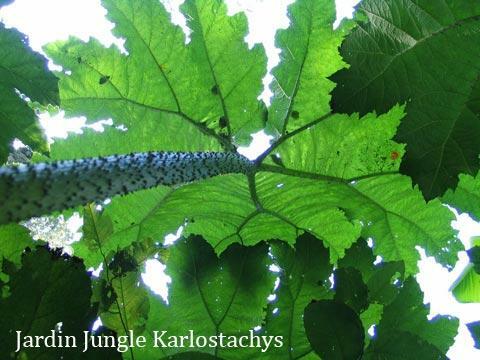 The Jardin Jungle Karlostachys at Eu is an extensive tropical garden covering 15 hectares and now open to the public. 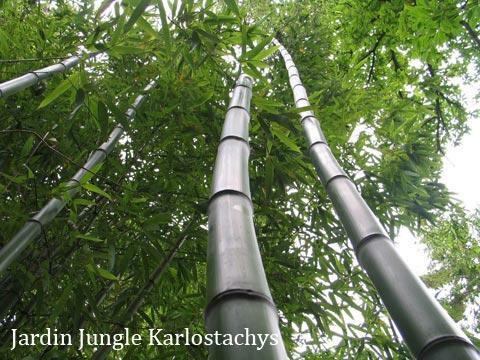 The garden includes various different sections such as an arboretum and garden of rare species, a eucalyptus forest and a bamboo garden. 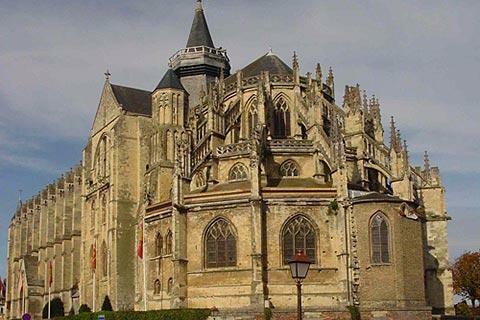 Enthusiasts of religious architecture will also want to visit the collegiale church at Abbeville and the church at Saint-Riquier, both towns a short distance east of Eu, while beach enthusiasts will prefer to travel a few kilometres to the coast at Mers-le-Bains. You can find more local travel ideas in the Seine-Maritime guide and the Normandy guide.